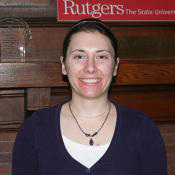 Michelle graduated from Rutgers-Camden with a bachelor’s degree in Criminal Justice. She worked on the Juvenile Justice Commission Re-entry Project from its beginning in June 2011 until April 2013. Page last updated by Senator Walter Rand Institute for Public Affairs at 12:02 pm November 28, 2016 . This page was printed from http://rand.camden.rutgers.edu/2014/02/18/barbaccia-michelle/ at 4:20 PM Monday, April 22, 2019.